ID: 1131 ~ Source: Rural Electrification Administration. 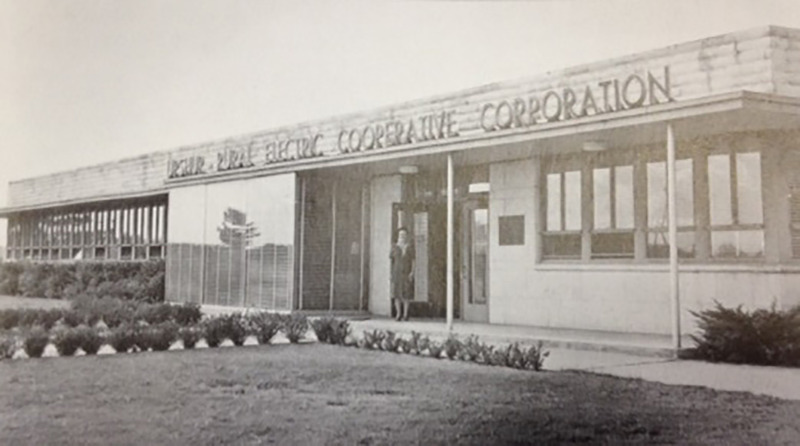 Description: Robert M. Hayes, “Electric Co-op Breaks Ground on Etex Unit,” Dallas Morning News, May 9, 1941. URECC contracted with the National Youth Administration (NYA) to construct its new building in 1941 at a cost of $75,000. The building was the first phase in a larger project that included an electricity generating plant and an NYA training facility. Not all of those facilities were built. The building included offices for URECC staff, a training kitchen and a large auditorium. URECC staff used the kitchen to demonstrate new electric appliances to members.